The Brewers made the first move this offseason when they picked up Zack Greinke in a trade with the Royals. They gave up little for what will be their staff ace. FanGraphs projects Greinke’s 2011 stats to be about 14-15 wins and an ERA in the mid 3.00’s. The Brew Crew did not stop there, acquiring Shawn Marcum, who cobbled together a nice 2010 for Toronto in the tough AL East after missing all of 2009. These two additions, along with future Cy Young candidate Yovani Gallardo make the Brewers a contender for the NL Central crown in 2011. The Cubs’ offseason answer to their pitching staff questions came in a trade with Tampa Bay. Matt Garza was acquired in exchange for a slew of prospects. While the big question is how Garza will fair in Wrigley, it goes without saying he is an upgrade, and makes a fine middle-of-the-rotation addition. FanGraphs projects something like 11 wins and a high 3.00 to low 4.00 ERA. He gives the Cubs a very solid top three along with Ryan Dempster and a “newly cured” Carlos Zambrano. What if Randy Wells can get his 2009 form back? Any Cubs fan can tell you that 2010’s failure came from a lack of offense. If this staff gets even a hint of support, the NL Central is well within reach. We can’t discuss the Cubs without touching on the Cardinals. Year in and year out the Cardinals seem to have pitching, or at least starting pitching. Yes, Wainwright is gone for the 2011 season, and while this is a big blow, I don’t see it being the end of their 2011 season. Tony La Russa and Dave Duncan are unbelievable at squeezing water from a stone. Duncan got production from Todd Wellemeyer for crying out loud. Every year the duo of La Russa and Duncan seems to pull a starting pitcher out of a hat. I am sure somebody will fall in place to pick up at least some of the wreckage left behind by Wainwright’s injury. They still have Carpenter and Garcia to lean on. Let’s also not forget the sinkerball pitcher, Jake Westbrook, who I am sure Duncan will turn into a Cy Young candidate before long. Oh yes, the Cardinals are still in the hunt … even when they lose their best pitcher. The sneakiest staff might be Houston’s. Rodriguez and Myers will once again anchor this staff. Don’t count out J.A. Happ, as he fit in nicely coming over from the Phillies in a trade last season. While I don’t see the Astros contending this year, mostly because of their offensive woes and bullpen, these three guys make for a nice base to a starting staff. Rodriguez and Myers were both in the top 40 ERA’s for starting pitchers last year, and Happ has the stuff to be included in that conversation someday, too. Alongside these teams sit the Cincinnati Reds. Youth would be the operative word here. The potential in this starting rotation is enormous for 2011 and beyond. Yes, Bronson Arroyo is 33, but after that you have Edison Volquez (28), Cueto (25) , Homer Bailey (25) and a fifth starter in Travis Wood (24) or Mike Leake (23). There is also the tease that Cuban fireballer Aroldis Chapman (22) might one day become a starter. With the exception of Chapman and possibly Wood, all of these pitchers have seen significant success at the major league level in a starting role. The only thing keeping the Reds from a return to the playoffs is the fact that every team in the division upgraded with exception to the Pittsburgh Pirates. The NL Central has always had a few good pitchers sprinkled about its rosters. What’s new to the past decade is the depth of each team’s starting staff, not to mention the potential for more in the future. While the Astros, and more so the Pirates, have some ground to make up in this category, the remaining four teams are finding strength and depth from their starters. If you are a Mets fan or a fan of reading good baseball information then definitely check out Adam Rubin who reports now for ESPN New York. He also reported for the local New York newspapers but has done a lot of New York Mets work. Beltran then informed his manager he wanted to initiate the long-debated move from center field to right field. At 8:20 a.m., Angel Pagan was summoned into the manager’s office with Beltran and Collins for a five-minute meeting. 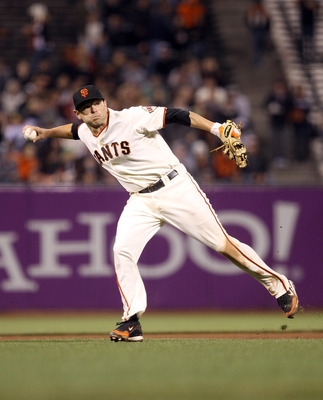 Pagan, who capably played center field in Beltran’s absence during the first half of last season as Beltran recovered from Jan. 13, 2010 arthroscopic knee surgery, then was informed he would be playing center field with Beltran in right field, rather than the opposite alignment. Beltran said the preemptive move avoids a last-minute switch on the eve of the season and prevents weeks of media discussion about the potential move in between. Beltran, 33, is in the final season of a seven-year, $119 million contract. 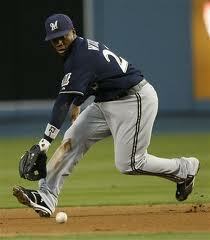 He has started three games in right field in his career, all in 2000 for the Kansas City Royals. Beltran said he consulted with agent Scott Boras, his wife Jessica and former Mets first baseman Carlos Delgado, who endorsed the move to prolong his career. He plans to enter Grapefruit League play in a week, after testing his right knee running the bases, and pledged to be ready for Opening Day. Collins implied at the start of camp that he preferred Beltran play right field this season, but the manager said he respected the veteran enough to let him have an opportunity to demonstrate he can play center field in Grapefruit League games if that was his wish. “I am impressed with the way this whole thing has been handled,” the first-year manager said. Beltran underwent surgery to clean out an arthritic right knee last January. That began a feud with the organization, which maintained it had not approved the procedure. When Beltran returned for the second half, he had decreased mobility. Beltran joins other high-profile center fielders who have moved to right field, including Mike Cameron and Torii Hunter. 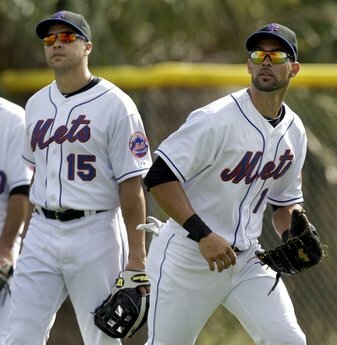 Cameron’s move actually came with the Mets after Beltran originally signed as a free agent with the organization. Third baseman David Wright was among the teammates praising Beltran’s selflessness. “Any time you get a guy that’s accomplished what Carlos has accomplished, and done the kind of things that Carlos has done in this game, to be that guy that really sees the big picture and sees what’s best for this team and does something like that, it makes you want to go out there and really play united and play as a team,” Wright said. “That probably takes a lot coming from a guy that’s really accomplished what he’s accomplished. Carlos wouldn’t have done it if he didn’t feel comfortable doing it. I just think it’s a very selfless act. I wish I could apply for this job! 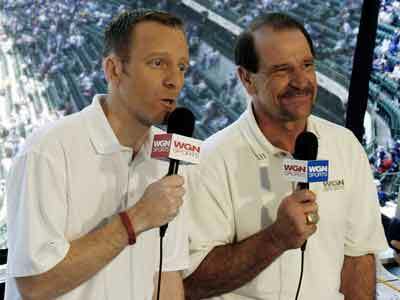 How does “The Voice of Wrigley Field” sound as a new job title? The Chicago Cubs announced Monday they are searching for a new public address announcer at the Friendly Confines, and they are opening the job search up to anyone, posting the ad on jobs site careerbuilder.com. Candidates are invited to send in their applications — including an audio or video sample — by March 7. Finalists will be chosen for live auditions at Wrigley Field by March 14 with a final decision to be made by March 25. “This is a dream opportunity for someone to be the voice at Wrigley Field and to leave a lasting impression on more than 3 million fans each season,” said Wally Hayward, executive vice president and chief sales and marketing officer of the Cubs. 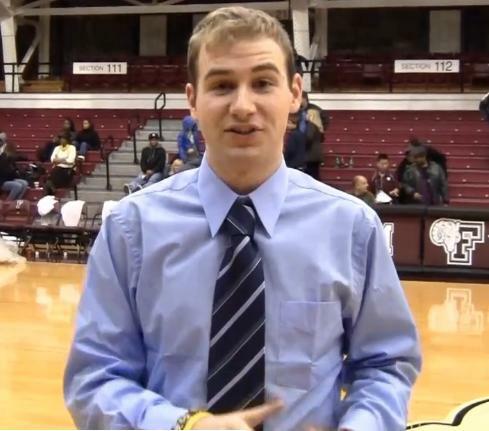 The new announcer will replace Paul Friedman, who held the position for 16 seasons. Friedman left the Cubs to become Director of Corporate Sponsorship and Business Development at Chicago Public Radio. 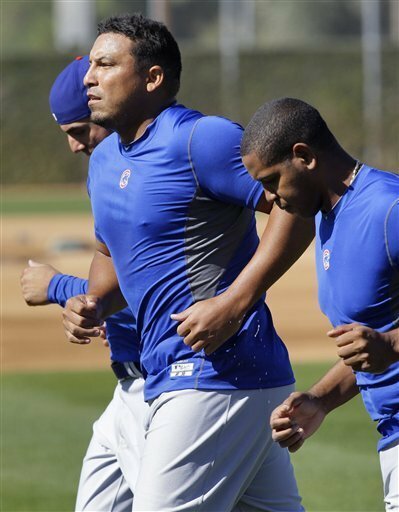 The Cubs open the season at Wrigley Field against the Pittsburgh Pirates on April 1. Maybe this will be me in the future with an organization. 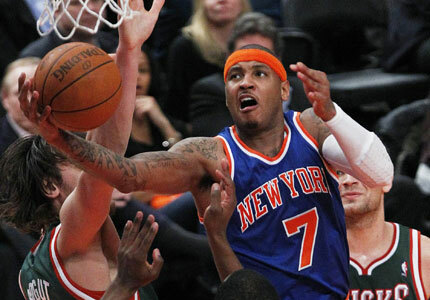 Carmelo Anthony savior to the Knicks season? Here is an article from ESPN and it states from a New York Knicks perspective of why this deal could backfire and not be what they wanted right now. The New York Knicks just figured out a way to give up everything but the coasters for a borderline franchise player and still be a couple of years away from being ready to compete for an NBA championship. In this case, a three-team, nine-player trade isn’t worth what some are going to try to make you believe. The Knicks gave Denver a king’s haul of three starters (Wilson Chandler, Raymond Felton and Danilo Gallinari), a raw (but promising) 24-year-old 7-footer (Timofey Mozgov) and their 2014 first-round draft pick, yet the assumption will be that acquiring Carmelo Anthony will put New York right there with the Miami Heat in challenging the Boston Celtics for Eastern Conference supremacy. 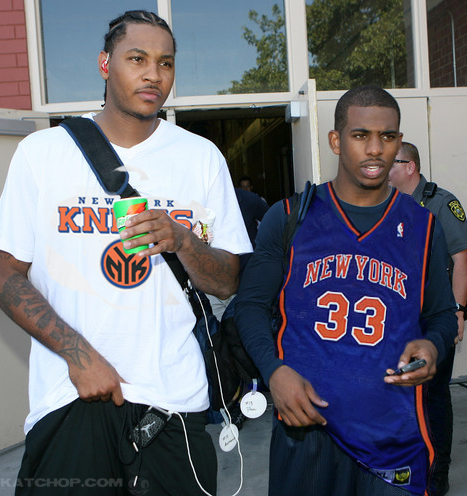 But instead, the Knicks didn’t get a savior in Anthony, they got a big piece of bait. And in the process, they relinquished some of their most encouraging talent. 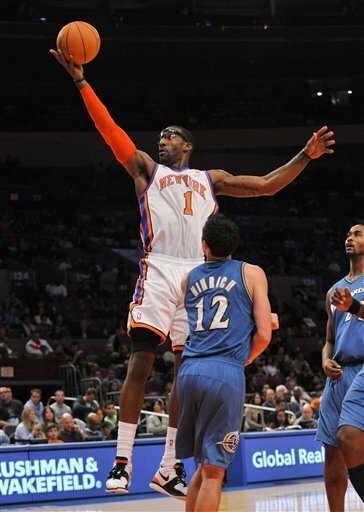 Yes, Anthony gives Amare Stoudemire a bona fide partner, one who can be a big help in matchups against the superstar-heavy Celtics and Heat. He finally gives the Knicks the relevancy they’ve craved. But let’s briefly allow the facts to intrude on the fantasy. The Knicks already are the second-highest-scoring team in the NBA, and they just traded away half their roster for another offensive-minded player. Right now, New York is slightly better than a .500 team, and it likely will stay that way for the rest of the season because the trade leaves it with a thin bench, an aging point guard (Chauncey Billups, who comes along with Anthony from Denver) to run a fast-paced offense and a nonexistent defense. Supposedly, one of the biggest reasons Anthony was worth getting at any cost was that it’s assumed he’ll coax Chris Paul, Deron Williams or Dwight Howard to come to New York when they become free agents next year. But while we don’t know what the salary cap will be in the next collective bargaining agreement, it’s very likely the Knicks will have limited payroll space if the cap is anywhere near what it is now. No matter how trendy it becomes for stars to join up with other stars, as LeBron James, Dwyane Wade and Chris Bosh did in Miami, I can’t see any quality superstar giving the Knicks the kind of discount they might need to complete a Heat-like triumvirate. I’m not ready to call the Anthony trade a bad deal for New York, but I am saying it’s less than ideal. The Knicks’ reality is selling another fantasy. For the Nuggets, this was a best-case scenario. They didn’t receive equal value for Anthony, but they got more than enough, including second-round picks in 2012 and 2013, which the Knicks had acquired from Golden State when the Warriors signed David Lee last summer. Anthony, by the way, deserves credit for that. 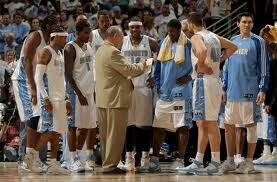 By making his intentions known to the Nuggets from the beginning, Denver had the opportunity to recoup its losses. Just ask Cleveland how important a heads-up from a superstar can be. I’m not suggesting the Knicks don’t need Anthony. 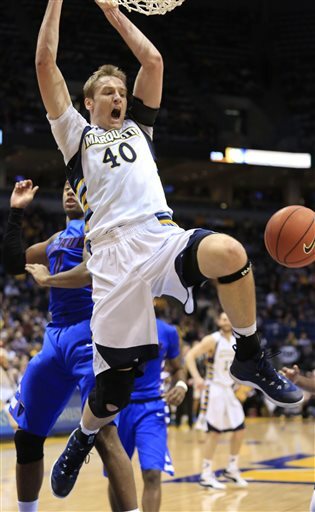 Who can’t use a 25-points-per-game scorer who can fill up the basket from any spot on the floor? But I question their strategy. I’m just not convinced this is the best way for the Knicks to make themselves championship contenders. And their own history proves it. When they were consistent competitors in the 1990s, they put a terrific group of role players around their superstar, Patrick Ewing. Those Knicks teams had ferocious defenders who exuded toughness. The Knicks’ championship team in 1970, revered for winning the franchise’s first title, was built around Willis Reed and also had the NBA’s top-ranked defense. 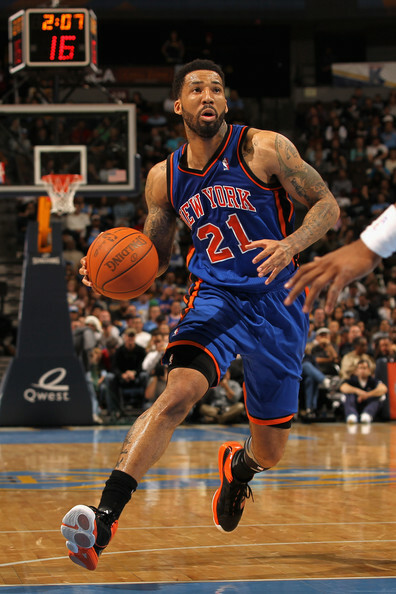 Prior to the Melo deal, the Knicks seemed to be building their team in that mold. Felton and Chandler have become very solid players. Gallinari is finally proving why he was the sixth overall pick in the 2008 draft; he leaves the Knicks averaging a career-best 15.9 points per game. Of course, none of them have Melo’s star power or his individual offensive ability, but they are better pieces in a team’s whole than people realize. The Melo deal is troubling because it seems as if New York is more concerned with restoring its reputation as a franchise that can attract big stars than setting up a viable long-range plan. Remember, the Knicks were once convinced they would get James, too. Despite the now-infamous toast Paul made at Anthony’s wedding last year, which indicated he was open to joining Stoudemire and Anthony in New York, a lot can happen between now and the summer of 2012. There’s no question it played to Melo’s advantage when James shunned New York for Miami. It made the Knicks desperate, and I’m not so sure they needed to be. As special as Anthony is, he isn’t James. He doesn’t have the kind of game, leadership or charisma that can instantly transform a team. There’s a reason Anthony’s teams have been eliminated in the first round of the NBA playoffs six times in seven years, including once by the Clippers. But let’s not let those inconvenient facts spoil this for New Yorkers. Another very good blog that baseball fans should go to. My main writer, Rob Neyer used to write for this blog buthas handed it down to the rest of the ESPN writers around the country. 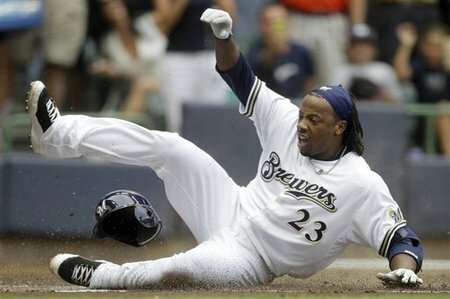 After what felt like an eternity of negotiations, the Brewers and second baseman Rickie Weeks finally agreed to terms on a long-term contract Wednesday. Ken Rosenthal first reported the details of the new agreement, which potentially pays Weeks $50 million over the next five seasons. The fifth year essentially acts as an option, as the Brewers can opt out if Weeks isn’t a full-time player in 2013 and 2014. At close to $10 million per season, the Brewers are paying for fewer than two Wins Above Replacement (WAR) yearly out of Weeks once we account for long-term salary inflation. Weeks produced a whopping 6.1 WAR in the 2010 season, and even though that kind of production may just be a career year, Weeks is a good bet to eclipse the 2 WAR total on a yearly basis. Both his walk rate (10.7 percent over his career) and Isolated Power (.176 for his career) are well above the league average, and these form the basis of his solid .355 career OBP and .429 slugging percentage. The obvious comparison for Weeks is another second baseman: the Atlanta Braves’ Dan Uggla. Uggla also received a five-year contract extension this offseason, earning an extra $12 million for a total of $62 million. Uggla has the superior bat — a .263/.349/.488 career line against Weeks’s .253/.355/.429 — but a worse defensive reputation (which is saying quite a bit) and less speed on the bases. Uggla is also two years older; Weeks won’t turn 29 until September while Uggla will turn 31 during spring training. So the $12 million lower price tag for Weeks seems like quite the bargain. However, I think it makes sense given Weeks’s tumultuous injury history. Although Weeks showed no signs of the wrist problems in 2010 that plagued his early career, it remains a worry for many Brewers fans. Last years was the first time that Weeks managed to play more than 130 games in a season — and only the third time in six tries that he competed in more than 100 games. There’s little doubt that Weeks’s extension would be much richer — and perhaps not contain the out clause on the final season — had he not missed more than 200 career games, including much of a 2009 season that looked primed for a breakout. Overall, though, it’s hard to argue with this deal. The Brewers will be able to escape with relatively little damage should the injury problems strike again, and Weeks is quite likely to be worth much more than his contract while he’s on the field. 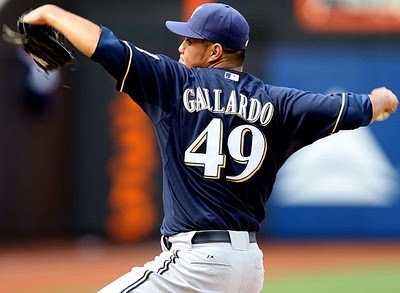 Much like the deals the Brewers have in place with franchise cornerstones Yovani Gallardo and Ryan Braun, this deal gives the team the flexibility to continue to add talent while retaining a very good player for a long time. 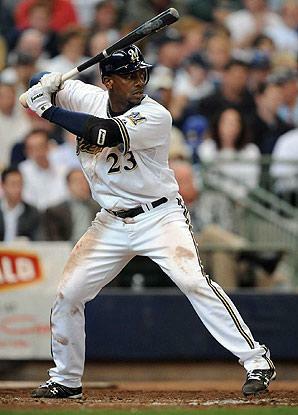 Due to a lack of prospects, the Brewers are set up for the short-term. However, the core talent on the team right now is exceptionally young. Of the team’s regular players this season, only fourth starter Randy Wolf and setup man Takashi Saito are over the age of 30. Outside of Prince Fielder and Saito, every other player is under team control at least through 2012. Deals like the Weeks contract should allow the Brewers to stay competitive while rebuilding the farm system. 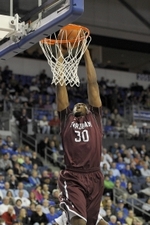 Here is a phenominal blog if you love to understand the game of baseball, basketball, and football. I suggest you visit it regularly if you want to become more knowledgable in the sports. 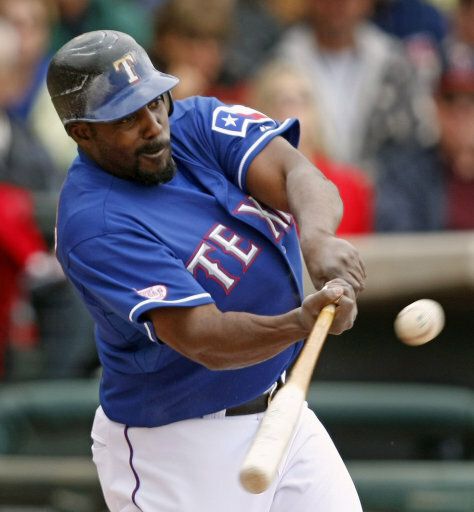 How does Vladimir Guerrero have the potential to help the Baltimore Orioles? Let’s take a closer look. Guerrero boosts the Orioles in multiple areas in which they were deficient last season. Baltimore slugged .358 against left-handed pitching, fourth-worst in baseball last season and the team’s worst since 1988. In adding Guerrero, Derrek Lee and Mark Reynolds, the Orioles netted three players whose combined slugging percentage vs lefties last season was .495. Guerrero slugged .536. In all three spots in the lineup (DH, first base, third base), the Orioles have a player whose numbers vs lefties were better than the primary player used by Baltimore last season. The other thing that comes with Guerrero is that Baltimore gets the same version of Guerrero when there are runners in scoring position as when there aren’t. Guerrero has hit .300 or better in those situations in 12 of the last 13 seasons. His .321 batting average with runners in scoring position is a near match for what he hit in those situations last year (.320) and his career batting average overall (.320). The Orioles hit .246 with runners in scoring position last season, fourth-worst in baseball. Guerrero also figures to maintain his power in a hitter-friendly park. While Rangers Ballpark was slightly favorable to right-handed batters over the last three seasons, with a home run park factor of 114 (according to The Bill James Handbook), Camden Yards is even more friendly, boosting homers for righties by 21 percent in that span, tied with Coors Field for the fourth-highest mark in the major leagues. Lastly, though this won’t necessarily impact wins and losses, Guerrero still possesses a “wow” factor to his home run hitting. According to data compiled by our video review crew for Hittrackeronline.com, Guerrero averaged a distance of 408.14 feet per home run. That was 12 feet better than the big league average and eighth-best among the 47 players with at least 25 home runs in 2010. New teammate Reynolds ranked second. SB Nation: Does Pitching and Defense win championships? Beyond the Boxscore’s Bill Petti wonders … Is it better to excel at preventing runs, or scoring them? Think about 2010. 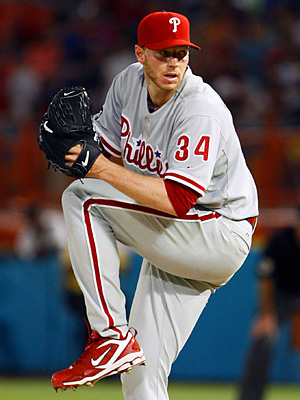 Many prognosticators argued that the Giants were lucky to make it past the Phillies and win the World Series against the Rangers. Upon closer examination, this makes no sense. The Giants scored only 697 runs all season, but they only allowed 583–for those counting at home, that’s a run differential of 114. That differential was good for 4th in all of baseball and an expected record of 95-67. The Phillies, by contrast, scored 772 runs and allowed 640. They were expected win 96–only one more than the Giants. As for the Rangers, they scored 787 runs and allowed 687, good for the eighth best run differential in the majors. They were expected to win 92 games, four fewer than the Giants. All three teams had what could be considered elite pitching staffs, but the Giants had the best of the three. That doesn’t mean they’ll be the best this year. But this does make me feel just a little foolish about so consistently picking the Giants to lose as they pitched their way to the World Championship last fall.